Our Wikipedia Content Experts are experienced Wikipedians who play a vital role in the Classroom Program, providing support to students as they contribute to Wikipedia for the first time. I’m pleased to announce that Shalor Toncray has joined Wiki Education on a short-term contract to provide extra support to students as Content Expert in the spring 2017 term. Shalor is a long-time Wikipedian who has edited as User:Tokyogirl79 since 2006, and became an administrator in 2013. 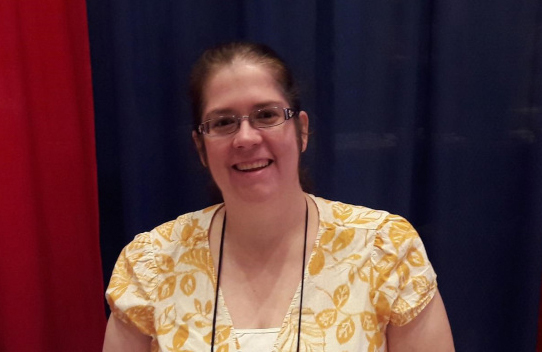 Her experience with Wikipedia led her to an interest in digital archiving, working with the Library of Virginia, and also to earn a Master of Library and Information Science from Drexel University. A recent profile on the Wikimedia Blog highlighted the work she’s done the improve Wikipedia’s coverage of important but overlooked historical figures. Before diving into archiving and library science, Shalor attended Virginia Commonwealth University, where she received a bachelor’s degree in religious studies. When she’s not working, Shalor likes to read, watch movies, play video games (especially tactical RPGs), and, of course, edit Wikipedia.